Don't Let Mold Feel Welcomed, Call the Pros at SERVPRO For Your Mold Remediation Needs! The science behind mold can help pinpoint the reason as to why a professional service can be helpful. Mold isn’t one of the most straightforward problems to get rid of in your home. It can be easy to miss a spot here or there and allow it to retake a substantial foothold after a short time. Professionals are familiar with how mold grows and behaves, so they often can have a better chance of removing it all the right way the first time around. Let our professional staff at SERVPRO help you to understand what is necessary to remove the mold safely from your family’s environment. You may not realize how that case of the sniffles could be cleared up from removing the mold rather than hitting the doctor’s office. We understand the devastation Fire Damage can bring to you and your family, We are here to help. 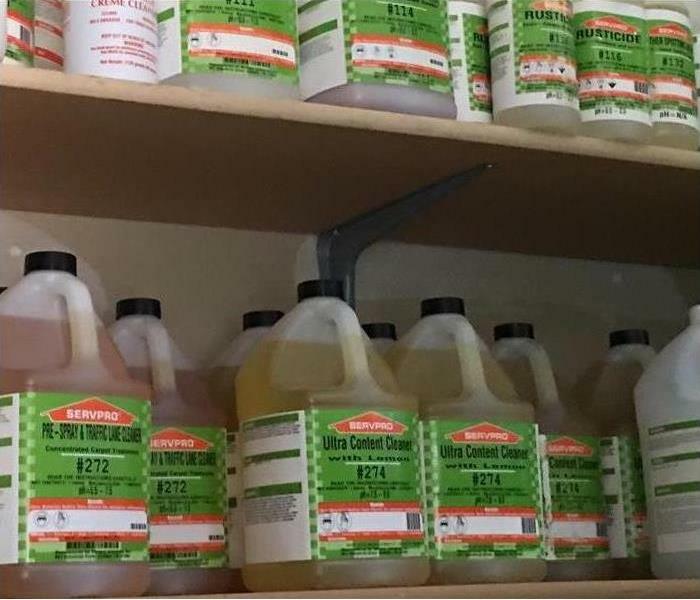 One of the most critical concerns for fire restoration is failing to control or eradicate odors, But luckily not for us here at SERVPRO of East Mission/South Edinburg. Remediating a fire loss may take long, meaning you might have to wait a while for your home to be back to its Pre-loss conditions. We will work non stop to make sure you are back into your home in just a manner of a few weeks instead of having to wait long months. WHERE the damage occurred and WHAT burned will always be your two main concerns in fire restoration. Knowing the full answers to those questions will likely ensure that your restoration efforts will be complete and that you’ll be able to eliminate all of those irritating odors, while at the same time eliminating any call backs. Fire restoration jobs can be profitable but also tricky unless handled properly. Prepare well, otherwise you’re the one who may get burned. 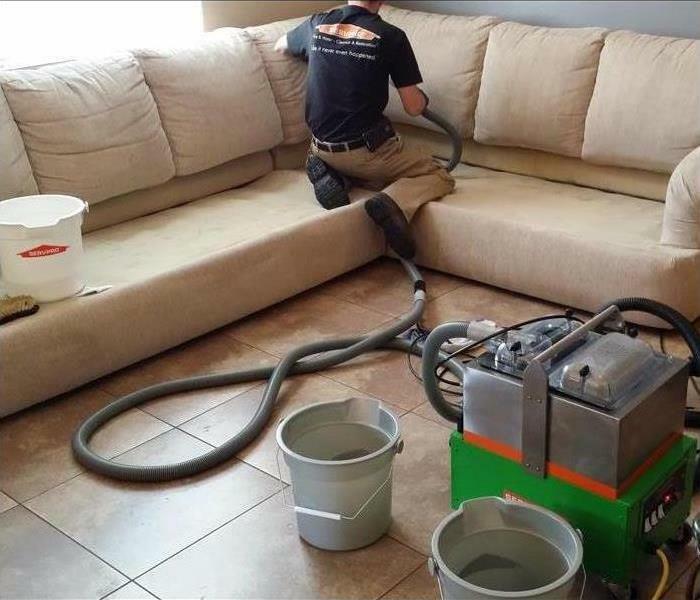 Call SERVPRO For any of your upholstery cleaning needs! Daily maintenance is a MUST! if you aren't cleaning your furniture as part of your regular routines, now is the time to start. You may be equally amazed and disgusted to discover what is lurking between your couch cushions. Set a calendar to mark down each day you need to do upholstery cleaning and set a few rules around your household to lessen the mess that can be made on your furniture. For example, you can have rules against eating or drinking while sitting on the couch. You'll lessen the crumbs and spills that are sure to find their way in between the cushions to keep your couch clean. 3. Test the cleaner in an unnoticeable place to make sure that it will not leave any stains. The most important step is to pay for a professional upholstery cleaning as frequently as you can. While following all the other guidelines will keep your furniture in good condition, the only way to achieve the best outcomes is through hiring a professional. Commercial water damage cleanup by SERVPRO. Whenever your commercial business experiences a flood, there are many steps that you need to undertake. There's getting the leaking problem fixed, and getting the building cleaned up. 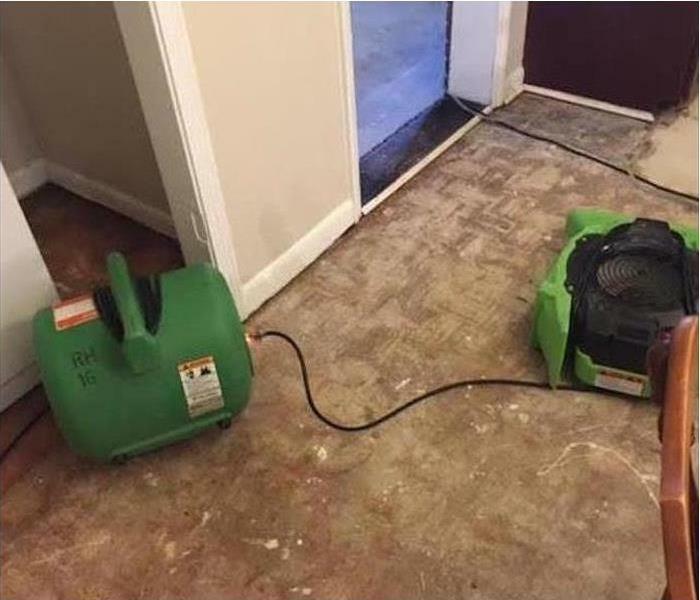 Here at SERVPRO of East Mission/South Edinburg, We have the solution to your water damage problem! We specialize in water restoration & clean-up for both commercial to residential buildings. 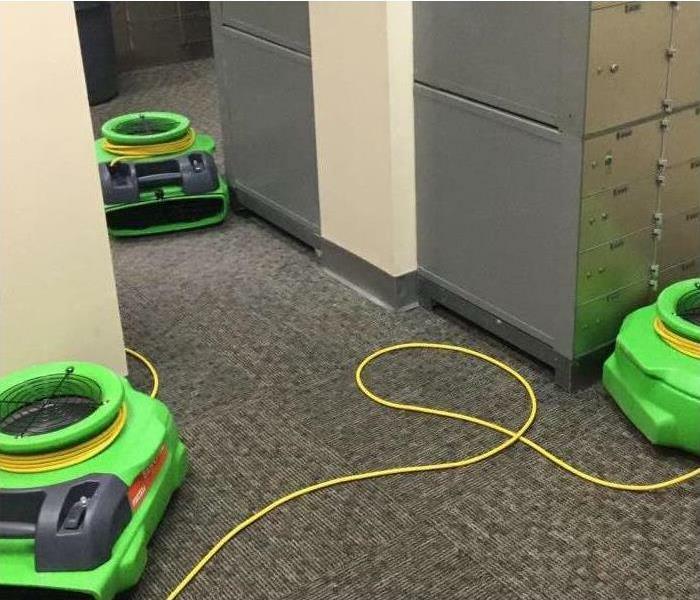 We understand that keeping your commercial business running efficiently is contingent upon your ability to clean up & continue operation's even If you've had a flooding event. That's why at SERVPRO, We have 24 hour emergency services where we will work throughout the night so no business days will be interrupted. We also complete a full inspection & work to clean & dehumidify any area's affected by the flooding. It's important to us to take active measures towards commercial water damage clean-up right away because the longer you wait, the more quickly mold & mildew will begin to grow. 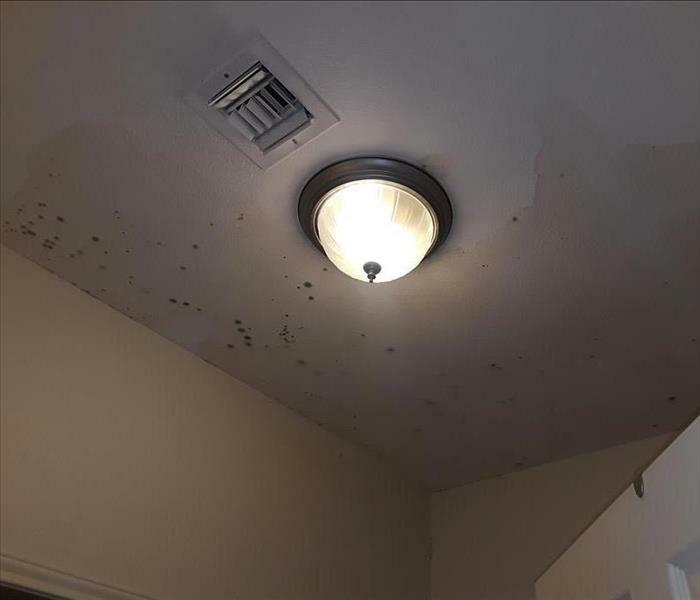 By calling our SERVPRO of East Mission/South Edinburg team rapidly, You can prevent some of the additional problems that may occur due to water damage. 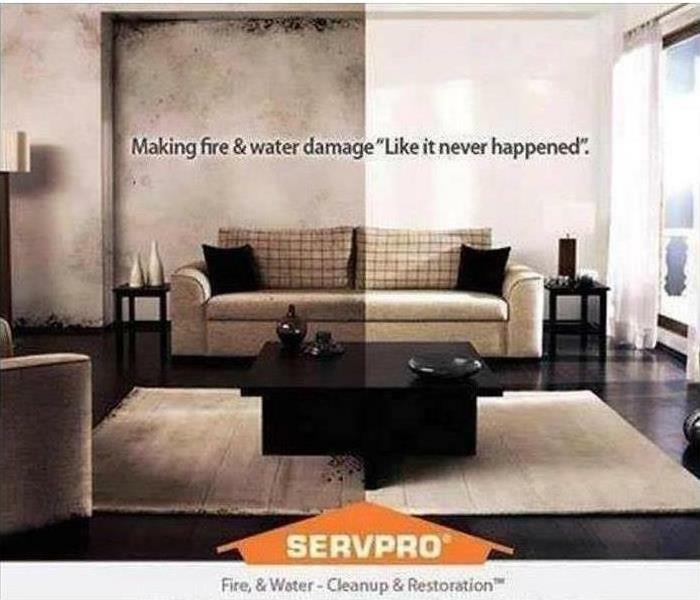 The best part about working with us at SERVPRO is that we won't just clear away water & leave you to do the rest. We'll create an action plan that includes the restoration of your business so you can get back to your daily routine. Having our professionals by your side will make a big difference in the outcome of your commercial water damage cleanup. SERVPRO Of East Mission/South Edinburg specializes in fire clean-up and restoration. In order for the smell of smoke to be eliminated during the fire restoration process, its important that appropriate and immediate action is taken. Clothing, Upholstered furniture, draperies, and carpets can be refurnished as well. It is essential to get professional help from an experienced fire restoration company. The odor of smoke can remain in clothing, Upholstered furniture, draperies, and carpets if they are not properly deodorized. A fire restoration professional uses special deodorizing procedures that actually break up the smoke molecules to eliminate the smell. Smoke enters, and can remain in and between the walls of living spaces as well. If it is not correctly removed, the odor of smoke will recur from time to time, especially during damp periods. This is one more reason why prompt action must be taken to have smoke odor removed professionally. If an attic was insulated before the fire, it might be necessary to completely remove the insulation. Unfortunately, insulation can't be cleaned and can still retain smoke odor, so it will have to be replaced. Depending on the amount of smoke damage, the wall's, and ceiling's may need to be cleaned, and repainted. If you are in need of fire restoration services, Call SERVPRO today! Flooding & storm damage clean-up. The most common mistake regarding dealing with storm damage is calling your insurance company first. While you do need to be sure to call them within the window of time they allow for you to file a claim after a storm, There are some things you should do before you call them. First of all, start with a high-quality, reputable storm damage restoration company. They will often find storm damage that your adjuster would not have noticed, of perhaps even hoped you didn't. By giving the adjuster a full property storm damage inspection report upfront, You avoid missing out on repairs that should have been covered. It is always best to find your own storm damage restoration company rather than go with one that the insurance company has " approved" because you want one that is working for you rather than the insurance company. You have paid your premiums so you deserve the best repair rather than the cheapest, which is what the insurance company would prefer. If you have suffered storm damage, Give us a call at SERVPRO Of East Mission/South Edinburg, we represent your best interest, yet can work directly with the insurance company for claims up to 500,000 to make the process easier for you. We can provide you with an inspection and then complete the restoration for you. Our team has years of experience in restoration, so we are confident we can restore your home to your complete satisfaction. Wall Cleaning Without Removing Paint. SERVPRO'S wall cleaning solutions used to clean any tough stains. The challenge of cleaning a wall is great when you consider how fragile the paint job on your wall might be. But there is a wall cleaning process that SERVPRO can utilize to help get your walls cleaned off while keeping their natural appearances. Detergent is key. The main part of wall cleaning is to use a safe detergent that is NOT abrasive . Traditional dish soap is popular for being effective yet gentle. When applied with a soft sponge, you can get this compound to move well into the stain without disrupting the main wall surface. What about vinegar? Vinegar is a prominent wall cleaning compound that we can mix with water if necessary. The chemical reactions from vinegar do well on stains but are not strong enough to break into a wall's paint job. This is a natural compound that work's well if you have a lighter stain that needs help. Mild Degreasers help- A mild degreaser may be added onto a surface to wash off a wall. This wall cleaning compound works best on oil painted walls. Any sponges used for cleaning off a wall should be gentle. Also, A degreaser would work best in a kitchen where greasy materials are likely to be used. Call a Cleaning Professional- Although you can manage to clean your walls yourself, its always best to leave it to a professional. SERVPRO Of East Mission/South Edinburg has many proper safe cleaning solutions for proper wall cleaning that will not ruin the paint on your wall's and leave them clean as a whistle! See what our SERVPRO team has to offer when you are looking to get a wall cleaned off. We would be more than happy to assist you with cleaning any problematic stains off the walls of your home. Call SERVPRO of East Mission/South Edinburg for any storm damage repair. Harsh weather can cause unexpected problems & damage to your home when you least expect it. It may seem like there's little you can do to protect your home from huge storms with lots of rain, snow, or strong winds, but often, a small amount of effort & upkeep on your home can make a big difference during a storm. 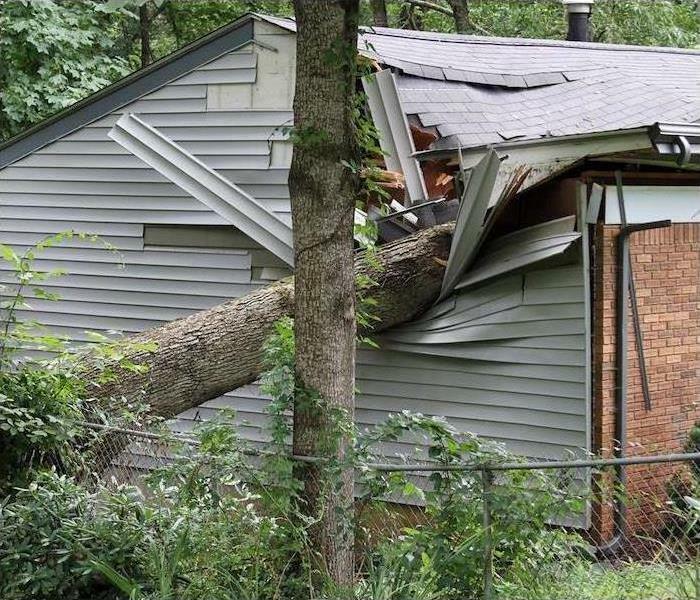 The main thing to keep in mind when preparing your home to resist major storm damage is making sure loose spots or small area's that are already damaged make it much easier for strong winds and other elements of a storm to create further damage from a weak spot on your home. This doesn't necessarily mean the entire roof of siding on your home needs to be replaced, nut small repairs now can help prevent further storm damage. Another way from keeping your home safe from any storm damage is by making sure there isn't any opening or ways that water can get into your home. Keeping gutters and other drains clear is critical for the free movement of water. If the water is being taken away from the sides, windows, and doors from your home, you are much less likely to experience flooding and other water damage . In addition, Proper sealing around doors or windows is key to keeping rain, snow, and hail outside of your home. Any small opening or crack also provides a way for wind to get in and possibly damage windows and doors. Taking these small steps before a storm hits can help save your home from expensive destructive storm damage and repairs afterwards. SERVPRO of East Mission/South Edinburg are experts at water restoration. 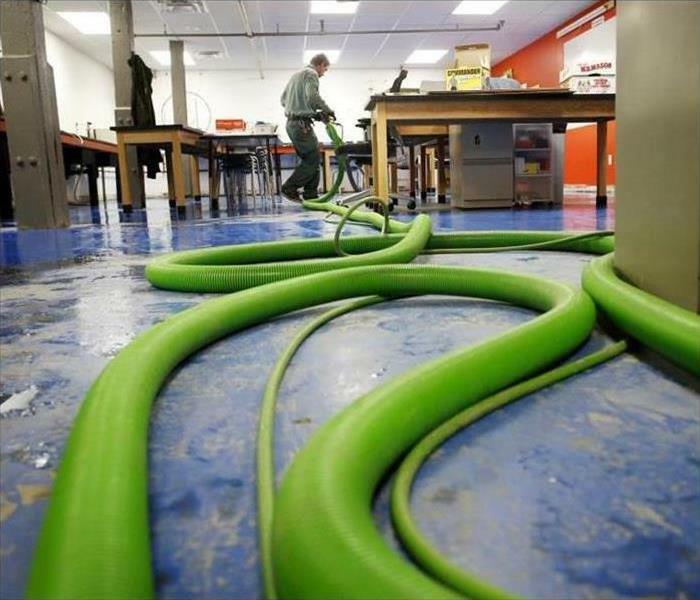 Water Damage can be a huge hassle if not handled correctly. A surprise flood or leak, whether big or small, can cause major issues with your walls, flooring, and furniture. SERVPRO Of East Mission/South Edinburg would like to provide you 3 things to keep in mind when facing a water damage situation at home. 1. Don't Wait To Get Help- Its important to get help as quickly as possible once any water has affected your home to prevent any mold to start growing throughout your home. The sooner you get professional help, the better! 2. Start Drying The Area Right Away- The more you can dry the affected area's before help arrives, the better. Mopping up extra water with towels and rags will help the area dry faster. When drying the area, don't use a vacuum to remove water or use other fans or electrical appliances as they can be potentially dangerous if floor was affected with water. 3. The Damage Can Spread Deeper Than The Surface- Even if you clean up all the standing water, it's likely that more water seeped through the floor and base boards. If this extra water underneath your floor is not taken care of, It can quickly become a bigger problem, leading to mold and damage to the structure of your home. What NOT To Do If You Experience Fire Damage. SERVPRO is here to keep you safe after your home experiences fire damage. 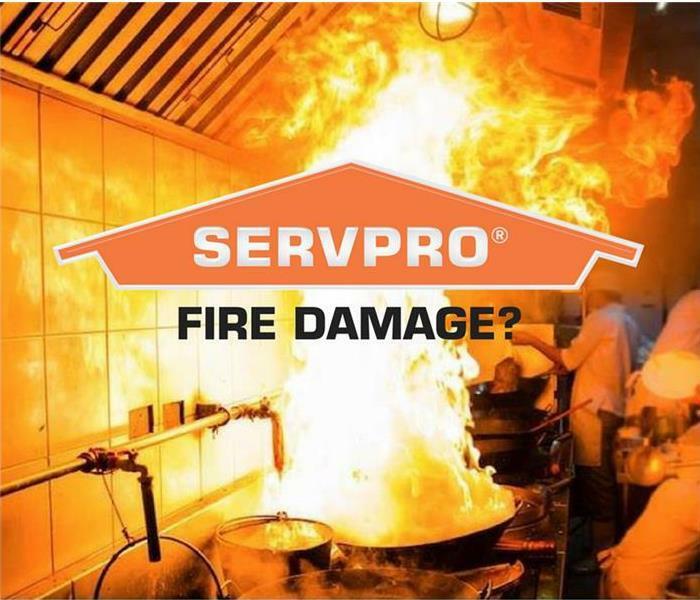 As many provide great advice about what to do after experiencing fire damage, Not all provide you with some advice of what NOT to do after fire has affected your home, But luckily, SERVPRO would like to point out some things that you shouldn't do if you are dealing with fire damage. 1. Do Not try and keep any food items, such as canned goods, which were most likely inside the house during the fire. High heat can render them dangerous to consume. They should be thrown out and in some cases, you can itemize the cost to replace them as part of your insurance claim. 2. Do Not deal with fire ash and residue on your own. If you handle this the wrong way, you could damage wall's, ceilings, and other surfaces. 3. If there was heavy smoke, do not try to reuse carpeting or upholstered furniture. They will need to be replaced so as not to cause respiratory problems. 4. Do Not turn on any electrical appliances, including computers, which were in a smoke-filled room before they have been checked out and professionally cleaned. There may be ash and debris inside the components and if you turn them on, you risk damaging them. 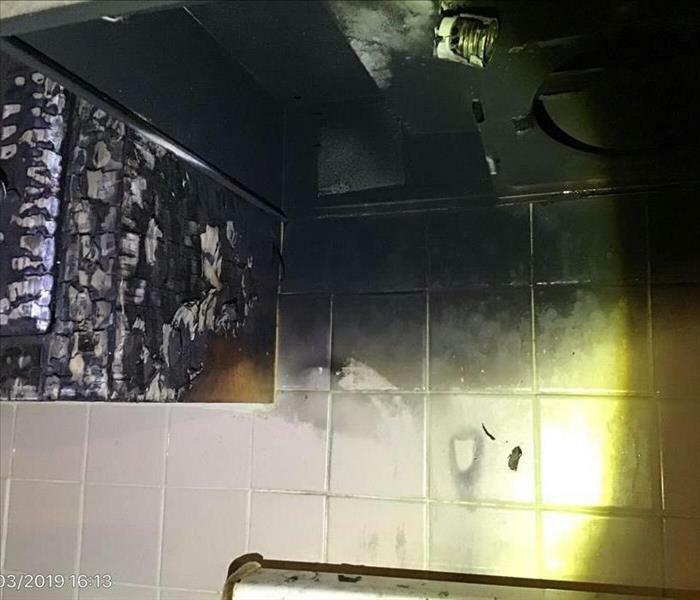 4/12/2019 - 9 Smoke Odor Removal Musts! 1/15/2019 - Tips For Dealing With Storm Damage. 1/14/2019 - Wall Cleaning Without Removing Paint. 1/14/2019 - What NOT To Do If You Experience Fire Damage.